This summer seems to be the season of quilt alongs and sew alongs. There are so many that I want to participate in – I need a full-time stunt double! And there’s plenty of red, white and blue projects, too. 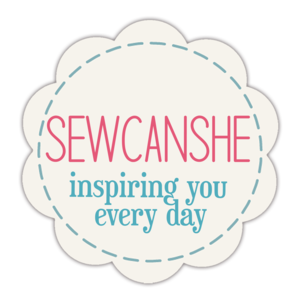 Enjoy this round-up of Sew Thankful Sunday, July inspiration! The Splendid Sampler 2 is off to a great start with your hosts Pat Sloan and Jane Davidson. As of June 14, there will be a free block released once a week (for a total of 20 free blocks). 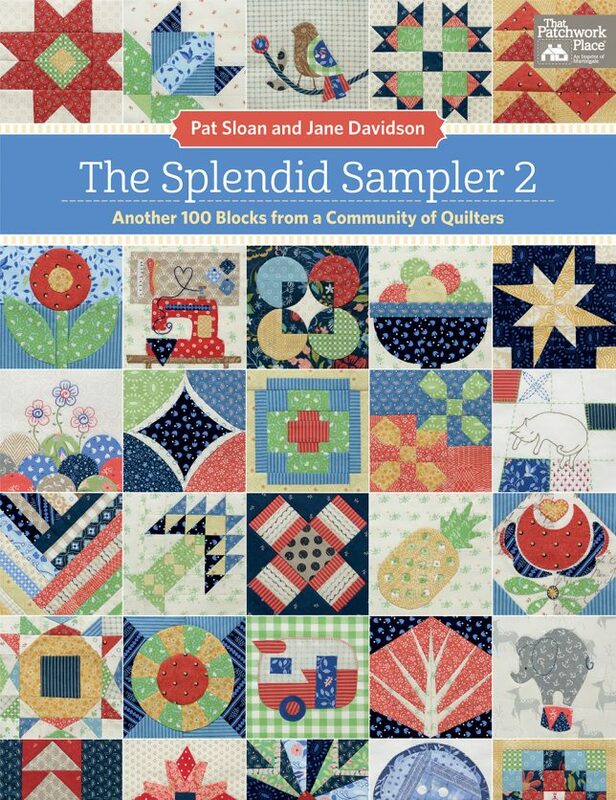 All of the blocks (100 total) will be available in The Splendid Sampler 2, which ships in mid-October. 2. 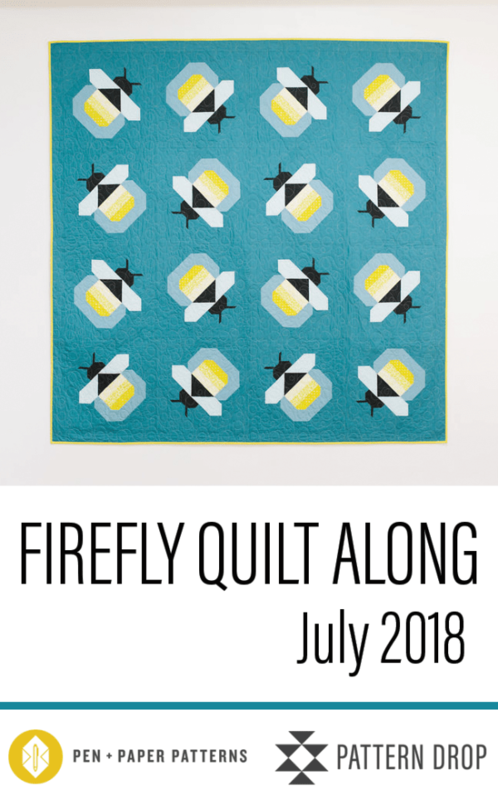 I can’t help but be smitten by the Firefly Quilt Along at Pattern Drop. This cute little pattern by Lindsey at Pen and Paper Patterns is available for purchase, and you have the option of making bees if you prefer! 3. The Moda Cutting Table is hosting Block Heads Round 2. If you missed out on the first round, now’s your chance to create some really awesome blocks in several sizes. All patterns are from a variety of designers and are free. 4. 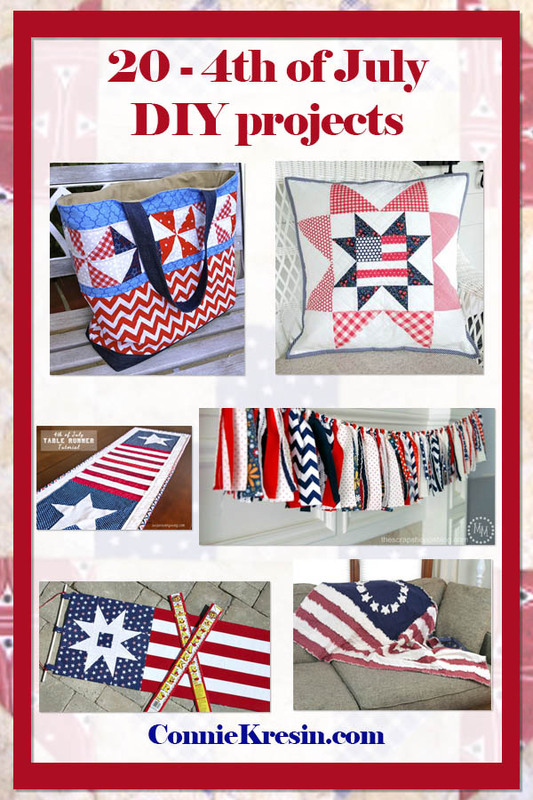 I know it’s almost here, but I just had to share this round-up of 20 4th of July DIY Projects from Connie at Free Motion by the River. I think these red, white and blues can be enjoyed all summer long! 5. 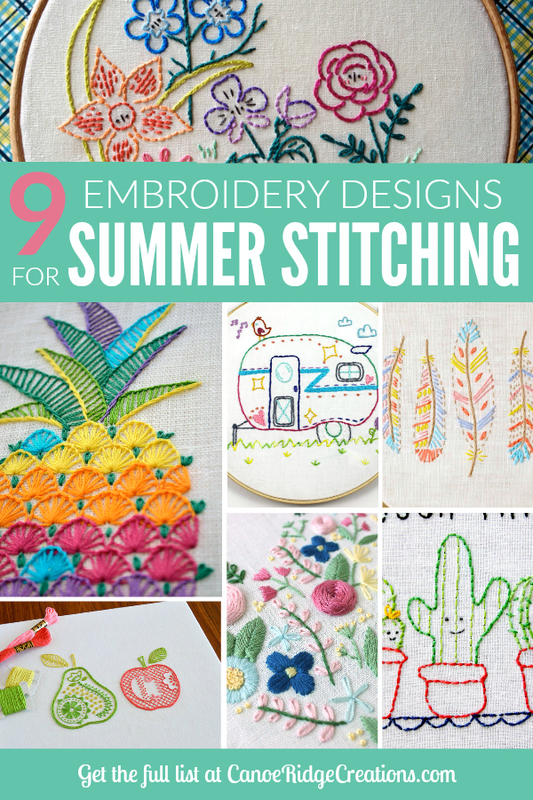 Summer is the perfect time to start a hand-sewing project to take on vacation, and Megan at Canoe Ridge Creations has rounded up 9 Embroidery Designs for Summer Stitching. I love all of these ideas! 6. 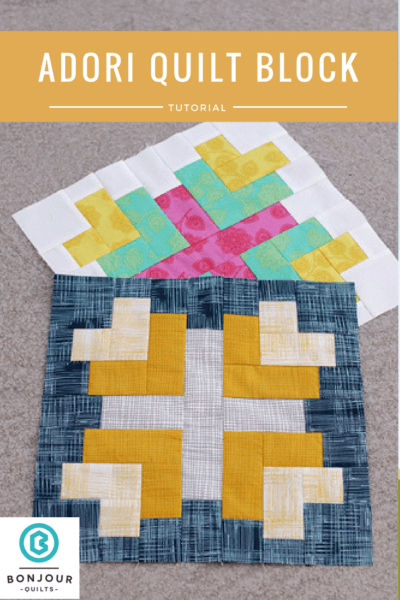 I love making quilt blocks, so I was really happy when Kirsty at Bonjour Quilts shared her tutorial to make this adorable Adori Quilt Block. This log cabin-style block has lots of color options and quilt design potential! 7. I think monofilament thread is a little misunderstood. 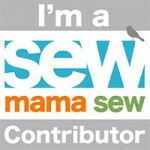 To help clear up matters, Aurifil Thread posted Thread Matters: a Musing on Monofilament Thread. I always have a spool of this invisible thread close at hand. 8. 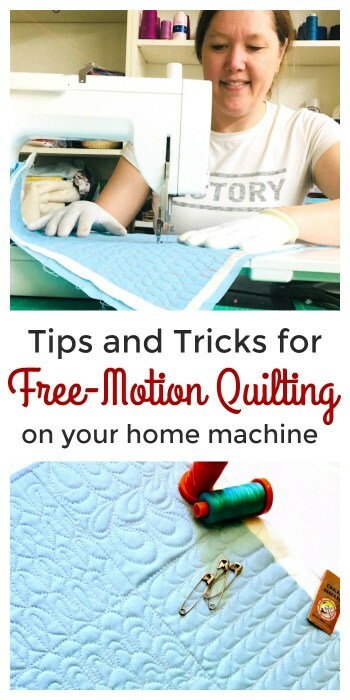 Check out these Tips and Tricks for Free Motion Quilting on Your Home Machine by Dara Tomasson of Stitched Quilting Co. Dara is a quilting educator and long arm quilter; she shared this guest post at Diary of a Quilter. 9. 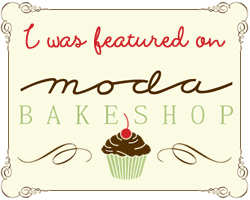 Summer Camp has begun at the Moda Bakeshop, but it’s not too late to join in the fun! 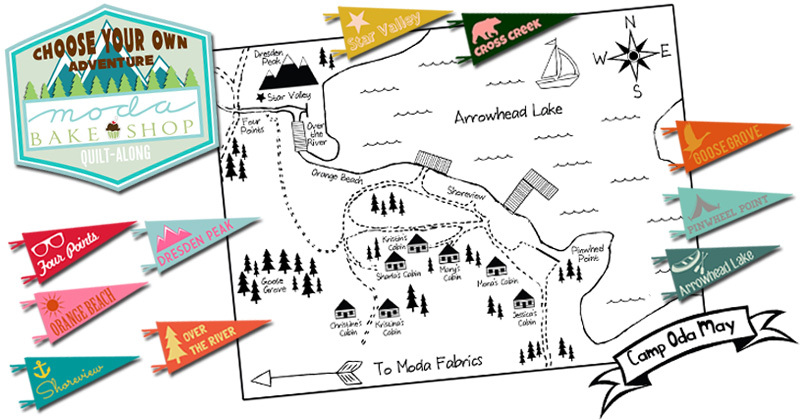 A group of camp counselors will share a different quilt block throughout the summer that will end up in a medallion style quilt. This is my kind of camping adventure! 10. 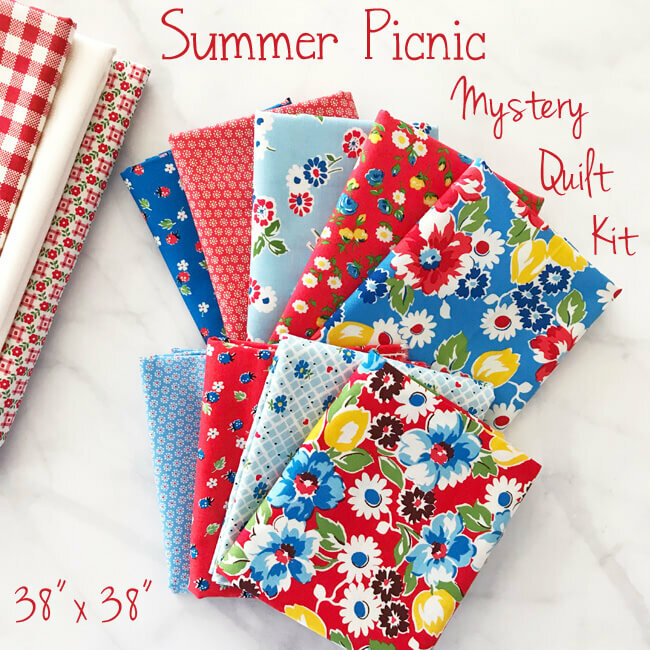 It’s time for the Summer Picnic Mystery Quilt by Lindsey at Fort Worth Fabric Studio. 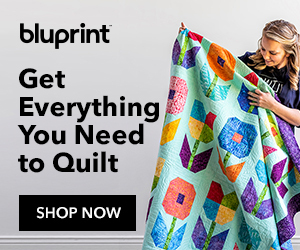 You’ll get free PDF instructions each week to make a 38″ square quilt. Fabric kits are available, too. I love this selection of summery fabric! 11. 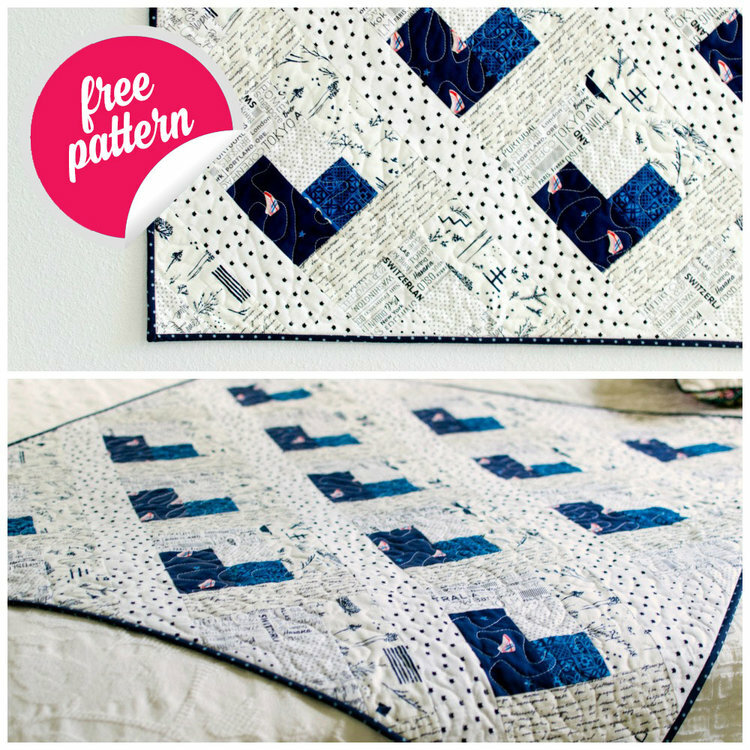 If you need a quick and super cute baby quilt, then check out this free Baby Heart Log Cabin Quilt from Caroline at Sew Can She. 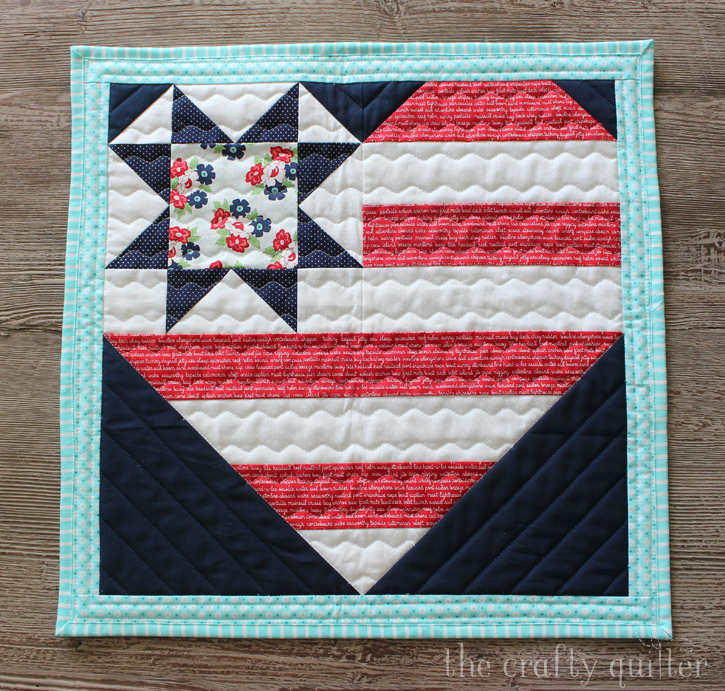 Such a great idea to make a sweet baby quilt from the versatile log cabin block! 12. Zipper pouches are wonderful to make as a gift or keep for yourself. Join Melissa at the PolkaDot Chair in her Learn to Sew Series and stitch an easy and adorable Zippered Pouch! 13. 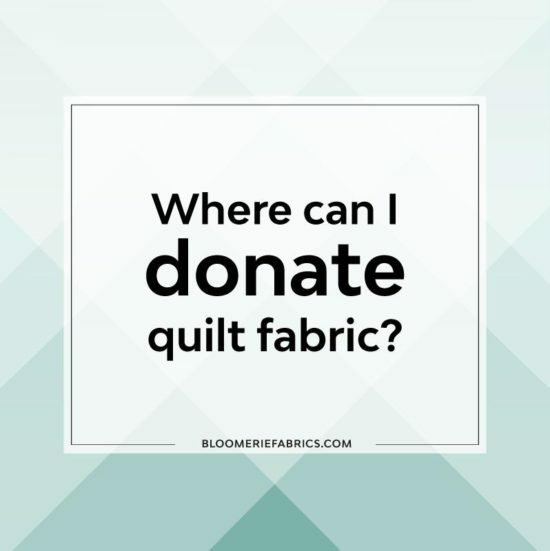 I’ve just begun cleaning out my sewing room and I found this blog post, Where Can I Donate Quilt Fabric?, from Bloomerie Fabrics so helpful! I’m still looking for donation ideas for smaller pieces of fabric, so if you know of anything, please share in the comments! 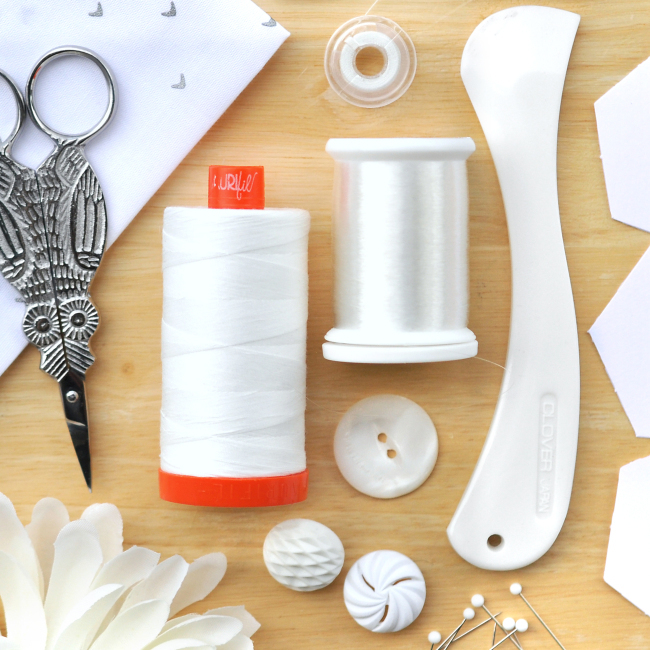 If you’re living in the US, you’ll be celebrating the 4th of July this week and maybe there will be some extra time in the sewing room. Regardless, I hope you’ve found some inspiration to take with you this month. Thanks always to everyone featured today! Happy summer! I subscribe to a few here-and always interesting reading. I need to start my mystery quilt (picking fabric is so stressful) i did purchase your pattern and plan to make a pillow (fabric picked out already) I need to check out the free motion quilting, and i must of missed Connie’s post on her patriotic crafts-i will need to go back and find…and on your mono thread and superior threads-i wanted to ask if you order directly from superior? I have polyester thread and Rayon i use for my embroidery machine i may be able to use in applique (hadn’t thought about that before) but the mono thread i need to purchase for sure. Thanks for sharing-enjoyed reading on my lunch 🙂 Happy 4th Julie! Thanks so much Julie for the shout out! 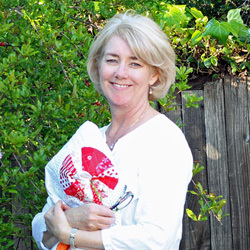 It is always so much fun to read your Sew Thankful post! Thanks for the resource to donate fabric, I get overloaded with too much fabric and it feels good to donate to someone who will do good things with it. I wanted to ask you if you have finished the A to Z for Ewe and me quilt. I am in the process of quilting mine finally and I am looking for ideas to quilt the back ground behind the letters. I donate all my kid friendly scraps to Quilts for Kids of Silicon Valley. Other fabrics are doanated to Quilts as Women’s Shelter through the San Jose Quilt Museum of Qults & Textiles. Thanks for the great ideas!